I am trying something new. I wanted to post more often, now that I have a proper site and blog. Each Friday I am going to try to post a new Canadian Fact in form of a doodle. Sometimes it will be a finished illustration and sometimes a sketchbook doodle like above. 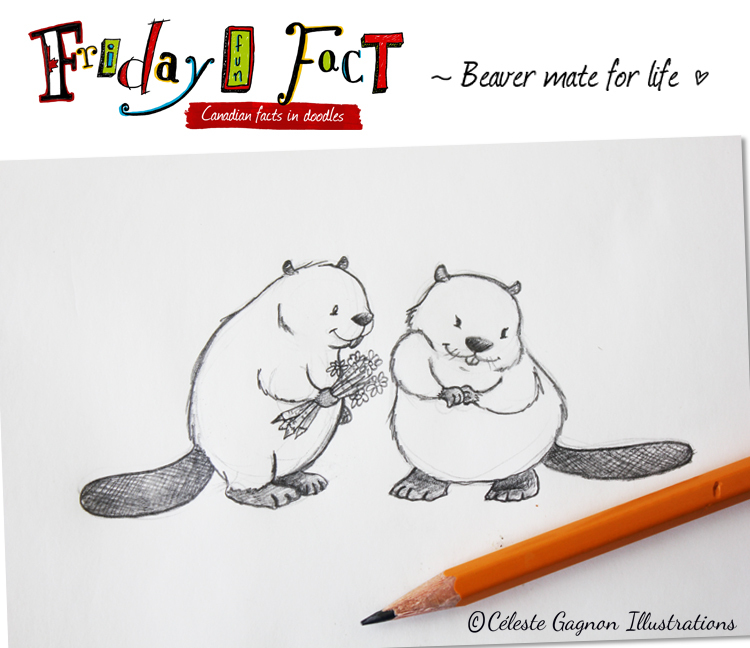 This Friday’s post is about the beaver, I learned this fact today! Beavers mate for life. Aww! Who knew beavers were so romantic? Very cute doodle. Cute beavers ! I love the loyalty part too. Keep them coming Celeste.